Annuity income for people remaining invested before buying annuities is lower as markets around the world fall after the Italian election faces deadlock creating concern about the ECB's ability to rescue Italy's bond market. Equity markets are lower with the Dow Jones index reducing by 1.5% or 216 to close at 13,874 yesterday and the FTSE-100 index 1.3% or 85 points lower to close at 6,270 today. European markets have fallen with Italy's MIB at 4.9%, the German DAX at 1.6% and the French CAC 2% down. 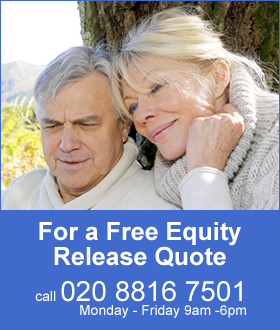 For a pension that tracks the the FTSE-100 index the fund would have reduced by 1.3% and this would mean that the annuity income expected would also reduce by this amount. Once a pension annuity is purchased it cannot be changed so the lower income would be received for the lifetime of the pensioner at retirement. The markets fear is that the European Central Bank (ECB) will not be able to support the Italian bond market as under the Outright Monetary Transactions (OMT) scheme as some 57% of the votes have gone to parties that are opposed to austerity measures. 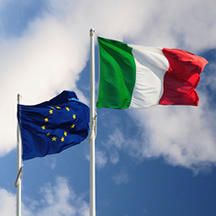 For the OMT to work it requires an Italian coalition government to agree to the terms imposed by the EU and these include tough terms for implementing austerity measures. The recent turnaround in confidence from investors occurred when the ECB stated it will do "whatever it takes" to support the euro and member's sovereign debt. If Italy's coalition no longer adhere to the terms of the OMT this pledge may start to unravel and contagion to spread. If could also mean yields for Italian 10-year bonds could rise to the critical 7% level without the ECB intervention. Already Italy's borrowing costs for 10-year bonds has increased by 41 basis points to 4.89% with 420 billion of further borrowing required this year this will increase their costs. In Germany 10-year bond yields decreased by 10 basis points to 1.45% and in the UK 10-year gilt yields fell 11 basis points to 1.97%. The fear experienced with the debt crisis last year forced investors to seek safe havens such as US Treasury notes, German Bunds and UK government bonds and gilts thereby driving up the price and lowering yields with annuities lowering as well. UK annuity rates are based on the 15-year gilt yields and these have reduced by 12 basis points today, the largest amount since May last year. Just a few days ago gilt yields reduced by 9 basis points due to a combination of the US comments that they may reduce or stop Quantitative Easing or QE3 and the Bank of England suggesting they may inject up to £175 billion a new QE method. The combined fall of 15-year gilt yields of 21 basis points means as a general rule that annuity rates will reduce by 2.1% at some time in the future. Annuities have been increasing due to higher yields this year and were 45 basis points higher at 2.76% so the falls this week will at the very least stop any further increases for standard rates with smoker and impaired annuity rates likely to fall slightly. The reason for this is that impaired annuities have increase aggressively in the last month whereas standard rates have lagged behind.